Nearly 75 years ago, Arnold Gerberding went door to door to hardware retailers and lumber dealers throughout the Midwest, asking them to pledge $1,000 to help secure greater buying power for their businesses and to maintain their independence. Fort Wayne, Indiana-based Do it Best has since grown from 96 retailers who attended the first shareholders meeting in 1945 to serving thousands of locations in more than 50 countries. The co-op’s board of directors still only comprises retailers, a choice made by the original members. 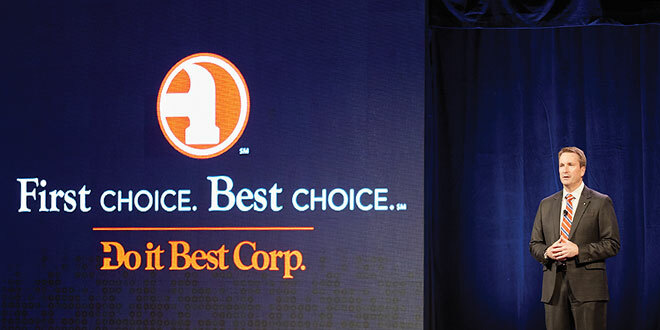 Click the following links to read co-op leaders’ affirmations of Do it Best’s commitment to continuing Gerberding’s legacy of innovating to help retailers improve their operations. Also, read about three Do it Best members who have grown their operations with the help of the co-op’s team members and programs.